As a kick off to Charter Week, IANR Leaderhsip visited the Ruth Staples Child Development Laboratory. 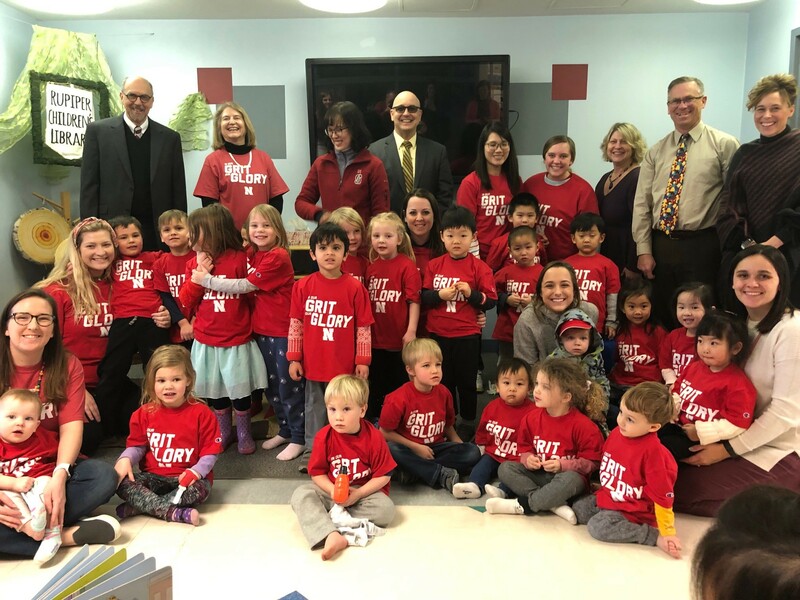 They brought each child In Our Grit, Our Glory Nebraska t-shirts. Also, on behalf of the College of Agricultural Sciences and Natural Resources, CASNR, and the College of Education and Human Sciences , CEHS, each child received a $500 scholarship! "We are honored and thankful for this generous gift and very much enjoyed the t-shirt and ice cream party!" said Jenny Leeper Miller, CDL Director.